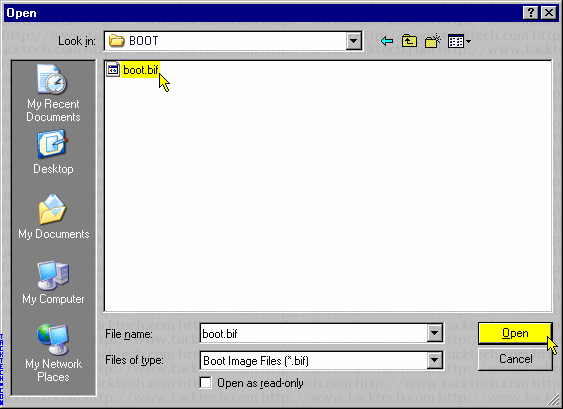 Creating bootable Windows 2000/XP/2003 ISO (PowerISO 3.5) (Windows 2000/XP/2003) - TACKtech Corp. Note: PowerISO 3.5 was using in this example. - Visit PowerISO Computing, Inc. Note: Links to regarding PowerISO are found at the top of this article. Select Action > Boot > Add Boot Information... from the menu. 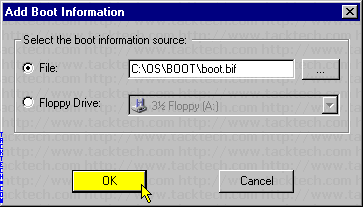 Locate the BootSector file (boot.bif) in the folder C:\OS\BOOT. 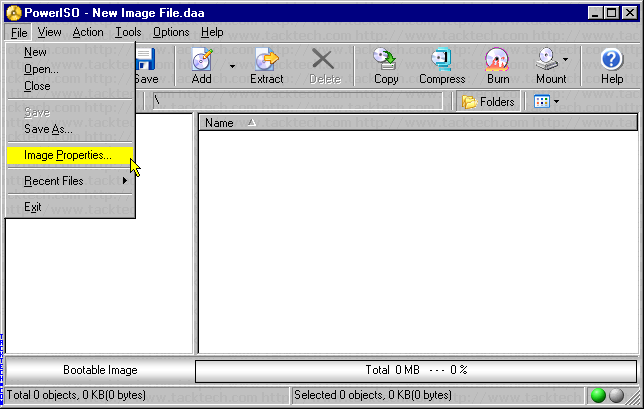 Select File > Image Properties... from the menu. Enter the Volume Label into the Volume Set ID: text box. 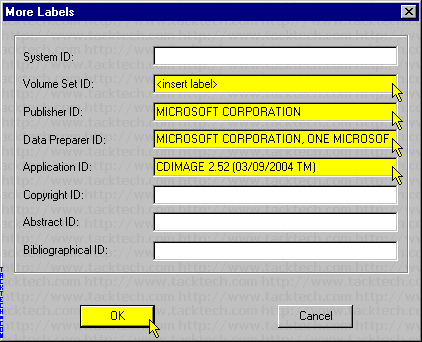 Enter in the Publisher ID:, Data Preparer ID:, Application ID: text boxes. 1.) Enter the Volume Label into the Label: text box. 2.) Check the Enable file optimization checkbox. 3.) 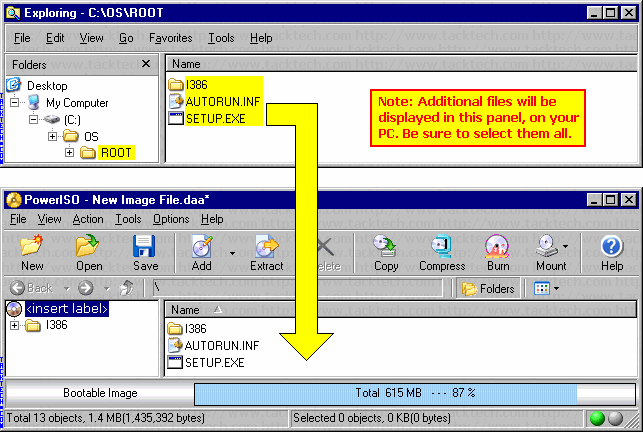 Check the Joliet checkbox under CD/DVD File System. 4.) Select the Standard(30) option under ISO9660 file name:. 5.) Select the Long(110) option under Joliet file name:. 6.) Click on the OK button. 2.) 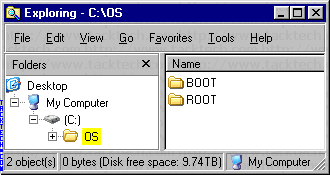 Select everything in the ROOT folder. 3.) Drag the selected files to the right pane of PowerISO. 1.) 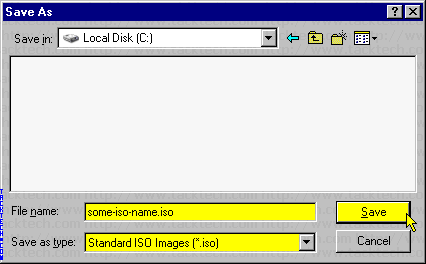 Select Standard ISO Images (*.iso) from the Save as type combobox. 2.) 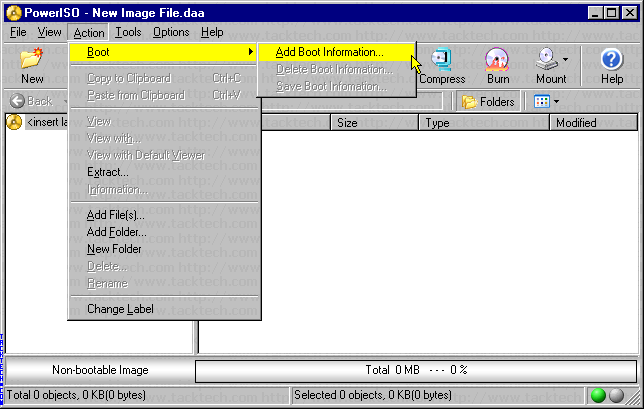 Type a file name in the File name textbox. Wait for the Image File to finish saving.